Serchhip District Bawrhsap leh District Election Officer ni bawk, Pi Juhi Mukherjee, IAS chuan Serchhip District chu India rama vote thlak \ha ber a nih theihna tura hmalak a nih thu a sawi. Serchhip District Election Officer hovin MLA inthlanpui atana inbuatsaihna thliho a ni. Mizoram Legislative Assembly inthlanpui neih tur atana inbuatsaihna thlirin nimin khan Serchhip District chhunga Head of Offices te chuan DEO, Pi Juhi Mukherjee hovin \hutkhawm an nei. Thla thum chhungin Mizoram-ah TB vei thar 506 an awm. Kumin July thla a\anga September thla thleng khan Mizoram-ah TB vei mi 506 hmuhchhuah thar an ni a, heng zinga mi 131 chu an khak-ah TB hrik hmuh an ni a, 89% chu enkawl dam an ni. Serchhip District-a a hmasa ber atan Lok Adalat \hutkhawm chu niminpiah khan neih a ni a, he hunah hian thubuai (case) paruk ngaihtuah tura chhawpchhuah a ni. Assembly inthlanpui neih tura sum hman dan endik tur ten an hna an thawk \an dawn. 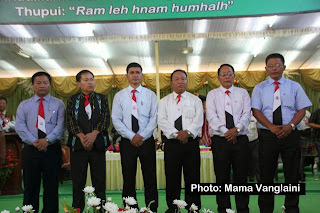 Assembly inthlanpui neih tura political party leh candidate-te senso leh dan bawhchhiatna a awm leh awm loh viltu tur Team hrang hrangte chu Serchhip-ah kokhawmin hna an thawh dan tur hrilhfiah an ni. Nov. ni 25,2013 a Mizoram MLA inthlanpui lo awm turah Mizo National Front (MNF), Mizoram People Conference (MPC) Party leh Maraland Democratic Front (MDF) chuan thawhho an tum a, niminpiah chawhnu dar 2:00 khan MNF Office, Hnam Run-ah thawhhona thuthlung an ziak. Mizoram Merchant Association in AMC Licensing Regulations, 2012 an dodal zel. Mizoram Merchant Association (MIMA) chuan AMC in Licensing Regulations 2012 a siam chu ram leilung fate tan sumdawnna kawngah a him tawk lo nia an hriat thu sawiin, sut leh an phut thu an sawi. Mizo Students’ Union (MSU) General Headquarters in Election Commission of India leh Chief Electoral Officer, Mizoram hnena lehkha an thawn hnu-ah Jt. 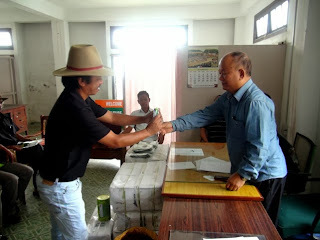 CEO, H Lalengmawia chuan MSU hruaitute chu inrinni khan a office-ah kawmin Mizoram Tuikuk, Mizoram pawna vote thlaktir lo tura MSU ngenna chungchang an sawiho. Vote tla a \hat theihna tura Serchhip-a hmalak dan Election Observer in a rawn enfiah. Assembly inthlanpui neih tura Serchhip, Lunglei, Lawngtlai leh Saiha District tana Election Awareness Observer atana ruat Pu Pankaj Pandey, IIS chuan Inrinni khan Serchhip rawn tlawhin inthlanpui lo awm tur atana a inpuahchahna te a hmunah a rawn enfiawh. Mizoram MLA inthlanpui November ni 25, 2013 a neih turah a vawikhatna atan Voters Slip leh VVPAT hman tumin inbuatsaihna kalpui mek a ni. Nikum July ni 20 zanlai dar 12:30 vela Keifang daiah Pioneer Quary chim in ZK Travels, Champhai Night Bus hnawl avanga thi 18 chhungte hnenah zangnadawmna cheng nuai 5 \heuh pe turin Zofa Welfare Organisation (ZWO) chuan Border Roads Organisation (BRO) an phut a, hei hi BRO ten an ngawihsan tlat niin an sawi a, hei vang hian, BRO hnenah hian Notice pek a, Court-a kal mai an rel.nia thudawn a ni. ZWO hian Keifang daia BRTF quarry chim vanga mi 18 thihna thleng chung-chang hi Home Ministry-ah thlenin, Home Ministry hian BRTF enkawltu BRO ah thawnin, ZWO hian reminder vawi engemawzat an thawn hnuah pawh engmah an ti zui lova, hei vang hian ZWO hotute \hukhawm chuan Court-a kal mai an rel ta nia thudawn a ni. BRTF quarry chimin Bus a hnawl ah hian mi 18 an thih bakah midang 19 an hliam bawk a ni. MNF leh MPC ten tun inthlan-puia thawhdun an tumna chu a tluang vak lo nia sawi niin Zirtawpni khan Delhi a kal MPC President chuan an party hruaitute chu inbiakna chhunzawm tawhlo turin a rawn hrilh nia sawi a ni. Tunkar Thawhlehni a\anga neih Serchhip District Level PYKKA Sports chu nimin khan zofelin Serchhip RD Block chuan point 90 hmuin an champion a, he Sports-ah hian item 10 ah inelna neih niin Serchhip RD Block aiawha tel mipa leh hmeichhia ten Judo, Taekwan-do, Table Tennis, Weightlifting leh Wrestling-ah pakhatna dinhmun an hauh a, East Lungdar aiawh hmeichhia ten Athletics, Badminton, Boxing, Football leh Hockey-ah pakhatna lain a bak item dang zawngah Serchhip RD Block aiawh ten pakhatna an hauh bawk a, he intihsiakna a ti\ha te hi State aiawha intihsiakna ah Serchhip District aiawhin an tel ang. Assembly inthlanpui neih tura Media te mawhphurhna zirhona Serchhip-ah neih a ni. Nimin khan Serchhip District chhunga thuthar thehdarhtute tan Assembly inthlanpui neih tura Media Certification & Monitoring Committee kalphung leh hnathawh te zirho neih a ni. Nimin (24th Oct. 2013) chawhma lam khan Serchhip a\anga North Vanlaiphai pan LPK Truck, Mz-06/2219 chu North Vanlaiphai thlen dawnah chesualin a khalhtu F. Lalzammawia (40), Serchhip Dinthar Veng chu a boral. Inthlanpui neih tur thlirin District pahnih-ah \hutkhawm neih a ni. Mizoram Legislative Assembly inthlanpui neih tur thlirin nimin khan Lunglei leh Mamit-ah te District Standing Committee \hutkhawm neih a ni. Zoram |halai Pawl in an din chhan an puangchhuak. Zoram |halai Pawl chuan nimin (24.10.2013) khan Aizawl Press Club-ah chanchinbumite an kawm a, mihring dikna leh chanvo inchhuhsakna leh rahbehna do tura ding an ni tih an sawi. Aadhaar number an tih hi enge ni? Mizoram Legislative Assembly inthlanpui neih hun tura ruat Dec. 4, 2013 chu sawn a ni ta a, Election Commission of India in ruahmanna a siam thar ang chuan Assembly inthlanpui hi Nov. 25, 2013-ah neih a ni anga, hemi atana hriattirna (Gazette Notification) chu Nov. 1, 2013-ah tihchhuah a ni anga, inthlanna chuh tum te tan Nov. 8, 2013 thleng hming pekluh theih niin a tuk Nov. 9-ah hming pekluh te hi endik a ni anga, Candidate inhnukdawk duhte tan Nov. 11 thleng hun hawngin Dec. 9, 2013-ah vote tla te chhiar a ni ang. 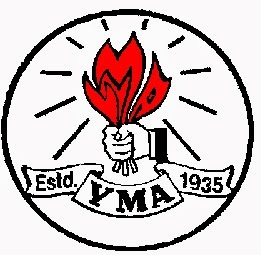 Assembly inthlanpuia vote tla a \hat theihna tura hmalak dan tur hrang hrang ruahman a ni. Serchhip District Bawrhsap leh District Election Officer ni bawk Pi Juhi Mukherjee, IAS hovin niminpiah khan Assembly inthlanpui lo awm tura Vote a tlak \hat theih dan tur sawihona neih a ni. Inthlan vuakveta Mobile Phone hmanga dan kalha Short Message Services (SMS) hman \hin chungchang sawihona chu nimin khan Aizawl-ah neih a ni. Aizawl District AIDS Prevention and Control Committee (DAPCC) chu nimin khan an Chairman, Aizawl DC, Franklin Laltinkhuma hovin an \hukhawm. Kolasib District chhunga khaw hrang hrangah Village Level Child Protection Committee siam tumin rua-hman mek a ni. Assembly inthlanpui lo amw tura Serchhip District-a Assembly bial pathum a Candidate te sum hman dan chhutna tur chu ruahman fel a ni ta. Assembly inthlanpui lo awm tura Election Commission of India in Dan thar a siam te inhrilhhriatna atan Serchhip-ah Talk Show neih a ni. Nithum chhung awh tur Serchhip District Level Panchayat Yuva Krida Aur Khel Abhiyan (PYKKA) Sports vawi 5-na chu nimin khan Serchhip-ah neih \an a ni a, he Sports-ah hian infiamna chi hrang 10-ah inelna neih a ni ang. MNF din champhaphak vawi 52-na lawmna Aizawl-a Mizo Hnam Run-ah neih a ni. Mizo National Front (MNF) chuan nimin Oct. 22, 2013 khan an din champhaphak vawi 52-na an lawm a, Aizawl-a he Ni lawmna Mizo Hnam Run-a neih ah an Party President, Pu Zoramthanga chuan thuchah a sawi a ni. Zoram Nationalist Party (ZNP) President, Pu Lalduhoma chuan, “Kan lo sorkar anih chuan tlak huamin thil \ha kan ti ngam dawn a ni” a ti. Kumin March thla thleng khan Mizoramah HIV positive mi 8,650 hmuchhuah tawh niin thisen test atanga chhutin a percent a sanmg hle. Inthlanpui-a Candidate te sum hman dan chhut dan tur ruahman fel a ni. Serchhip District Bawrhsap leh District Election Officer ni bawk, Pi Juhi Mukherjee hova Political Party hrang hrang aiawh leh thuthar theh-darhtute nimin a \hukhawm chuan inthlanpui neih tura bungraw chi hrang hrang hman man tur leh Advertisement chhuahna tur man an bithliah. Nimin khan rampumah Police an duty laia boral te sunna leh hriatrengna hun, Commemoration Day hman a ni. Mizo Students’ Union ( MSU ) Gen. Hqrs. chuan nimin, 21.10.2013 khan Chief Election Commissioner, Election Commissions of India leh Chief Electoral Officer, Mizoram hnenah lehkha thehlutin, kum 2013 MLA General Election lo awm turah Tuikuk, Tripura Refugee Camp a awm te Mizoram pawn a Vote thlak tir lo tura ngenna a thehlut. ZNP in ZTP nena an thawhho loh chhan an puangchhuak. Zoram Nationalist Party (ZNP) Sr. Vice President, Pu R. Lalawia chuan, “Kan party behchhana Regional Party thar din an tum hi \ha kan tih loh vangin ZTD nen kan thawkho leh dawn lo a ni,” a ti. Serchhip Vengchung Branch YMA te chuan thla thar a an Branch YMA kum 75-na, Platinum Jubilee lawmna chikhat atan Inrinni khan JN Hospital Serchhip Blood Bank-a dah turin thisen Unit 62 an pe a, thisen petute hi mipa 54 leh hmei-chhia 8 niin JN Hospital Serchhip-a thawktu ten Zoluti Hall-ah kal chilhin heng mi tlawmngai te thisen hi an lak sak a ni. Zoramthar Duhtute Chairman Pu SL. Sailova chuan Mizoram Assembly inthlanna neih turah Lunglei North bial a\angin a chuh dawn tih a puang. Mizoram-a inthlanpui ah NOTA hman a ni dawn. Relief camp-ah vote thlak leh rin a ni bawk. Inthlannaa vote thlaktute’n candidate zinga vote duh pakhat mah an nei lo tihlanna atana Electronic Voting Machine (EVM) Ballot Unit hmeh theih tura ‘NOTA’ (None of the above) tih hmehna tur dah tel tur chu Mizoram Assembly inthlan lo awm turah hman a ni ve dawn. Central Young Lai Association (CYLA) chuan Assembly inthlan lo awm tura Mizoram People’s Forum (MPF) hmalaknaah telloh nise an ti. District hrang hranga MCMC tan training neih a ni. Mizoram Legislative Assembly inthlanpui neih tur atana District hrang hranga Media Certification and Monitoring Committee (MCMC) member-te tan Inrinni khan Aizawl-a MZP Conerence Hall, Treasury Square-ah ni khat awh training buatsaih a ni. YMA General Conference vawi 68-na, Khawbung khua a neih zawh takah Returning Officer, Pu Lalchungnunga kaihruaia hnuaiah kum 2013-2015 chhunga Central YMA hruaitu tur thlanna neih a ni. Chhiahtlang Pastor Bial Kristian |halai Pawl (K|P) chuan Central K|P Kumpuan, ‘Midang tana Malsawmna’ puala hmalakna atan nimin khan Aizawl Civil Hospital-a a mamawh apiang hman turin a thlawnin thisen Unit-39 an pe a, thisen petu te hi Mipa-35 leh hmeichhia-5, an vaiin mi-39 an ni. Heng mi tlawmngai te thisen la tur hian Aizawl Civil Hospital Blood Bank Officer, Pi Lucy Chhakchhuak leh thawktu mi 5 an rawn kal a ni. Chhiahtlang Pastor Bial K|P hian 2007, 2009 leh 2012 khan Bial huapin thisen hi an lo pe tawh a ni. Nimin chawhnu dar 3:00 khan Serchhip District Election Officer leh Bawrhsap ni bawk Pi Juhi Mukherjee IAS hovin ama pisaah inthlan lo awm tura candidate te sum hman dan leh dan bawhchhiatna awm thei te ven dan tur ngaihtuahin Serchhipa Election Officials te leh Bank lam hotute an thukhawm. Assembly inthlanpui lo awm tura harsatna awm lova mipui ten vote an thlak theihna turin Polling Station hman turte chu enfiah a ni. Assembly inthlanpui neih tura Serchhip District-a Vote tla a \hat theih dan tur sawiho a ni. Kumin a Mizoram in Assembly inthlanpui a hmachhawn tura Serchhip District-a vote tla a \hat theih dan tur chungchang ngaihtuhin nimin khan Serchhip DC hovin mi pawimawh te an \hukhawm. 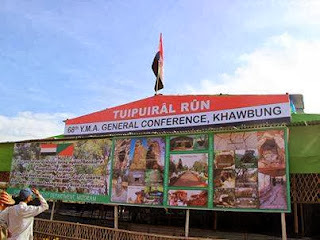 YMA General Vonference vawi 68-na Khawbung-a Tuipuiral Run-a neih chu nizan hmasa khan a \iak ta a, he khawmpui hmang tura khaw hrang hrang a\anga Palai kal te chuan nimin khan mahni khaw lam \heuh an pan a ni. 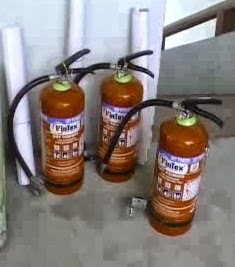 Serchhip District-a National School Safety Prog-ramme (NSSP) kalpui mekah nimin khan Serchhip District-a zirna In 68 te hnenah kang\helhna hmanrua, Fire Extinguisher semchhuah a ni. Khawvel hmundangte rualin Serchhip-ah Global Hand Washing Day hman a ni. Hriselna tura Kut silfai a pawimawh zia inzirtirna Ni, Global Hand Washing Day chu nimin khan khawvel pumah hman a ni a, Serchhip District-ah pawh SSA Mission Serchhip District huaihawtin he Ni hi hman a ni. ZNP in milar candidate neilo!! ZNP President, Pu Lalduhoma chuan, “Milar candidate tur kan neilo hi kan inchhuanna a ni,” a ti. Assembly inthlanpui neih tur atan UPC (NEI) in thuchah tichhuak. UPC (NEI) General Administrative Committee chuan Mizoram Assembly inthlan lo awm turah Kohhran mipuite leh political party-te hnena thuchah an tichhuak a; an thuchah chu ngai pawimawha zâwm turin Kohhrante leh political party-te chu Pathian hmingin an ngen a ni. Mizoram Pradesh Congress Committee (MPCC) President, Pu Lal Thanhawla chuan independent chu tharum hmanga sual chi a ni lova, Pathian in hun a tihah chuan min pe mai ang, a ti. New Pension Scheme chungchang zirhona Aizawl-ah neih a ni. Mizoram sorkar-a Finance Department leh NSDL e-Governance Infrastructure Limited, Mumbai \angkawpin an buatsaih, nikhat awh New Pension Scheme chungchang zirhona “Workshop on New Pension Scheme” chu Tourist Lodge, Chaltlang-ah neih a ni. Inthlanpui neih tura MPF hmalak tum dan thuthar lakhawmtute hnenah sawifiah. Nimin chhun khan Mizoram Peoples Forum (MPF) hruaitute chuan Aizawl Press Club ah chanchinbu mite an kawm a, MLA inthlan loawm tura an hmalak tum dan hrang hrang an sawifiah. Mizoram Assembly inthlanpui neih ni atana December ni 4 ruat leh vote chhiar ni atan December 8 (Pathianni) ruat chu \halo tia a hun sawn tura Pawl hrang hrangin ngenna Election Commission a thehluh tura an thawn chu Election Department chuan Election Commission of India-ah a thawn tawh. MNF President leh Chief Minister hlui ni bawk, Pu Zoramthanga chuan Assembly inthlanpui neih turah MNF Party chu an chak ngei tur thu a sawi. Kum 8 chhungin Mizoram-ah Cancer vei thar 9,248 awmin Cancer vangin mi 4,622 an thi bawk. Kum 8 kalta (2003-2010) chhung khan Mizoram-ah Cancer vei thar 9,248 hmuhchhuah a ni a, hemi kum chhung vek hian Cancer vangin 4,622 an thi bawk nia chhianchhiah a ni. Hlamzuih chungchang ngaihtuahna kalpui mek zel a ni. Hlamzuih tibo turin Mizoram a Kohhran lian ber Presbyterian Kohhran chuan hma a la mek a, thla leh November a SEC \hutkhawm hunah ngaihtuah leh atan an dah a, Mizoram-a tlawmngai pawl lian ber Central YMA pawhin Oct. ni 15-17 chhunga Khaw-bung-a khawmpui an neih turah Hlamzuih chungchang hi an sawi kai dawn nia hriat a ni. Aizawl Lammual cheina atan cheng nuai 791.5 hmu tawh. Urban Development & Poverty Alleviation Department chuan Aizawl AR Ground (Lammual) chei nan Special Plan Assistance (SPA) a\angin cheng nuai 791.5 a hmu a, hei hi mipui \hutna (gallery) leh eng chhit tur (lighting) atan hman a ni ang. Election puan vangin Bru laklet hna chawlhsan rih a ni dawn. Election Commission in Mizoram Assembly inthlan hun a puan tawh avangin inthlan leh a behbawm zawh fel hma chuan Tripura relief camp a\anga Bru ho laklet hna chhunzawm a ni dawn lo. Tunkar Thawhlehni a\anga neih Serchhip Block Level PYKKA Sports chu nimin khan zawhfel a ni. Serchhip-a RTI Week-2013 hmanna ah Hlemhletna dona tura RTI pawimawhna zirho a ni. Mizoram Information Commission leh I&PR Department \ang- kawp buatsaihin nimin khan Serchhip-ah ‘RTI Week 2013’ puala inkhawm a buatsaih a, District Bawrhsap Pi Juhi Mukherjee, IAS chuan a hmanpui a ni. FAO Team ten Serchhip District-a sorkar hmalakna rawn tlawh. United Nations hnuaia Food & Agriculture Organisation (FAO) India Representative Dr. Peter Kenmore leh a team te chuan nimin khan Serchhip District a sorkar hmalakna \henkhat te an tlawh kual. Food, Civil Supplies & Consumer Affairs Department chuan thuchhuah siamin mipuite chu eirawng-bawlna Gas renchem turin a ngen. India rama FAO hotu pawimawh ten NLUP en turin Mizoram an rawn tlawh. United Nations hnuaia Food & Agriculture Organisation (FAO) India Representative leh a hotu lu ber Dr. Peter Kenmore, PhD (Agriculture cology) leh a team te chuan Mizoram sorkar NLUP kalpui dan rawn thlithlai turin nimin khan Aizawl an rawn thleng. MZP hruaitu ten Scholarship chungchang sawipui. Mizo Zirlai Pawl (MZP) Gen. Hqrs. hruaitu te chuan nimin khan Mizoram Scholarship Board Secretary, Dr. Rualthansanga chu a Pisa ah kawmin Scholarship chungchanga zirlaiten harsatna hrang hrang an tawh \hin te an sawipui. Vote thlak \heuh dan tur sawihona neih a ni. Assembly inthlanpui neih turah vote nei thei zawng zawng ten vote an thlak \heuh theihna turin State Level Systematic Voters Education & Electoral Participation (SVEEP) workshop chu MZP Conference Hall, Treasury Square ah neih a ni. Serchhip-ah Faina Hapta intihsiakna lawmman sem a ni. Veng fai ber ah Serchhip P&E Veng thlan a ni. 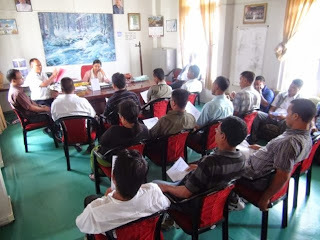 Kumin 2013-a Faina Hapta chhunga intihsiakna a lawmman semna hun chu nimin khan Serchhip-ah neih a ni a, YMA Branch area fai ber ah Serchhip P&E Veng Branch YMA chu thlan a ni. Tun thla ni 2 a\anga Mizoram District hrang hranga Faina Hapta hman puala intihsiakna lawmman te chu nimin khan District hrang hrangah sem a ni. ZNP in NLUP sum bang tun ami anga sem an tumlo tih an sawi. ZNP President Pu Lalduhoma chuan, 'NLUP sum bang la awm hi keini chuan tuna an tih anga sem chhunzawm kan tum lo a, awmze neiin market tih changtlun nan kan hmang dawn a ni' a ti. MSU in Refugee Camp-a vote thlak tir tum dodal tum. Mizo Students’ Union (MSU) General Headquarters chuan Election Commission of India in Tuikuk raltlan te Refugee Camp-a vote thlak tir a tum chu an duhloh thu an sawi. Health Care Scheme sum chungchang thubuai tihtawp a ni. Mizoram Health Care chungchanga PRISM in April 13, 2009 a ACB a thubuai a thehluh chu nimin khan khan Pu KL. Liana, Judge, Special Court, P.C Act chuan an puhna chu kalpui zel tlakloh leh a tak awmlo ni a hria in a ti tawp. Nizan hmasa zan dar 8:00 hnu hret khan Serchhip Sesah lui bul, chhimlam kawng chu a chhaklam ko sang tak a\anga lei rawn min in a hnawh a, mihring leh In erawh den fuh erawh a neilo. He leimin vang hian nizan hmasa zankhua in helai kawng hi lirthei kaltlang theih a ni lova, nimin chawhma lam khan lirthei kaltlang theih turin leivung hi nawr sawn a ni a, leivung erawh paihfai ala ni rihlo thung a ni. Helai hmunah hian kar kalta lam pawh khan lei rawn tla tawhin a thlanga In leh Taxi pakhat a lo deng fuh tawh bawk a ni. Serchhip District MPF leh Pol. Party in inthlan hun leh vote chhiar hun sawn turin duh. Mizoram People Forum (MPF) Serchhip District leh Serchhip District-a Political Party hrang hrangte Joint Meeting chuan Assembly inthlan-pui neih hun tur leh vote chhiar ni tura ruat te chu sawn turin Election Commission of India-ah ngen nise an ti. Bru Relief Camp-ah vote thlak leh a ni dawn. December ni 4-a Mizoram Assembly inthlanna neih turah Tripura Relief Camp-a awm mek Mizoram Bru te chu vote thlak tir leh a ni dawn. RTI Hapta hawnna inkhawm Aizawl-ah neih a ni. 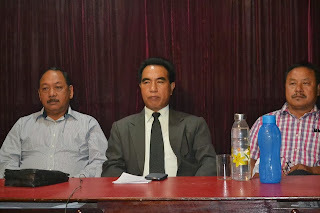 Mizoram State Information Commission leh Information & Public Relations Department buatsaih, RTI Hapta chu nimin khan Aizawl Vanapa Hall-ah Chief Information Commissioner Pu Lal Dingliana IFS (Rtd.) chuan a hawng. Sept. 29, 2013-a Ranchi, Jharkhand-a khelh zawh tak, 49th Junior National Football Championships for BC Roy Trophy-a champion, Mizoram Team-a tel, PC. 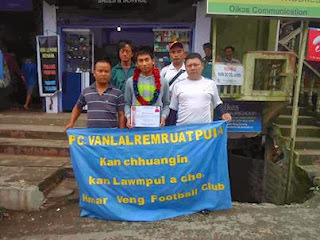 Vanlalremruatpuia, Serchhip Bazar chuan Inrinni khan Serchhip rawn thlengin a khelhna, Hmar Veng FC huaihawtin ropui taka lo hmuah a ni a, Mizoram Team-ah hian Serchhip District a\angin PC. Vanlalremruatpuia bakah Vanlalbiaa Chhangte, Hriangtlang, tuna Chanmari West FC-a khel mek te chu telin Vanlalbia Chhangte erawh ala rawn hawlo thung a ni. Mizoram Assembly inthlan leh vote chhiar hun tur Mizoram Synod in sawn an duh thu an sawi. 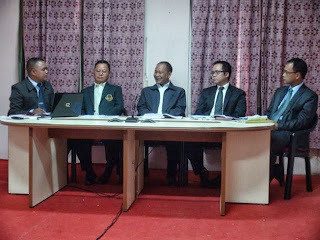 Election Commission of India in Mizoram Assembly inthlanpui neih hun tur Dec. 4, 2013 leh Vote chhiar hun tur Dec. 8, 2013 a a ruat chu Mizoram Synod hruaitute chuan sawn leh nise an duh thu an sawi. 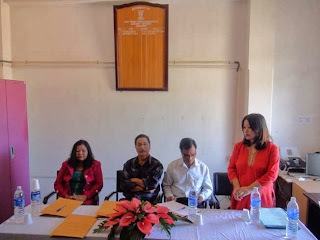 Science Teachers Association Mizoram (STAM) chuan Hydel Project siam hian ram leilung, sik leh sa bakah nungchate ah nasa taka nghawng a neih vangin hmathlir thui tak neia ruahmanna siam a tul a ni, an ti. Bru raltlan laklet hunah chhungkaw 100 te lo kir. Thla hlui ni 30 a\anga Tripura Relief Camp pahnih-Naisingpara leh Asapara a\anga Bru laklet lehnaah chuan Mizoram-ah Bru chhungkaw 100 an lokir. 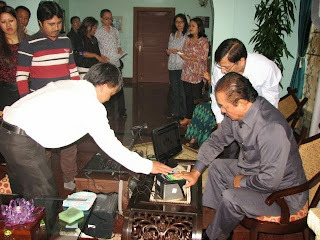 National Population Register siamna tura Biometric Enrolment chu Inrinni zing a\ang khan Mizoram-ah bul \an a ni a, Chief Minister Pu Lal Thanhawla chu a chenna bungalow-ah kal chilha chhinchhiah hmasak ber a ni. Faina Hapta hman mek denchhen in Urban Development & Poverty Alleviation Department, Serchhip chuan Dt. 4th Oct. 2013 chawhnu dar 3:00 khan Serchhip DC Conference Hall-ah “FAI HI MITININ KAN TLIN A NI” tih thupuia hmangin Serchhip Town Area “Inter-High School Debate” a buatsaih a, High School paruk he intihsiakna ah hian an tel a ni. Mizoram Legislative Assembly inthlanpui December 4, 2013-ah neih a ni dawn. 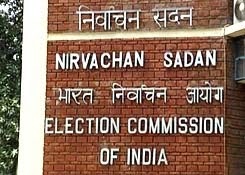 Election Commission of India (ECI) chuan Mizoram Legislative Assembly inthlanpui neih hun atan December 4, 2013 a ruat fel ta a, inthlan chuh tumte tan Nov. 16, 2013 thlengin hming pekluh theih a ni ang. Information & Communication Technology Minister, Pu Zodintluanga chuan nimin khan Mizoram State Data Center, Secretariat Building Annex-1, Treasury Square-ami chu a tlawh. Serchhip-ah Labour Welfare Fund semchhuah a ni. Labour & Employment Minister Pu Lalrinliana Sailo chuan nimin (4th Oct. 2013) khan Serchhip DC Conference Hall-ah kuthnathawktute \anpuina Labour Welfare Fund a sem a, nimin a \anpuina dawngtute hi mi 671 niin tangkafai Rs. 24,62,000 semchhuah a ni. Mizoram-a a 4-na turin Champhai-a Chhangphut Foirld-ah Artificial Grass phah hna chu thawh tan a ni ta. Hlawh cut-na tur Order sorkar in sut leh ta. Federation of Mizoram Government Employees & Workers (FMGE &W) in sorkar an ngen angin tunhnaia sorkar hnathawk nuar te hlawh cut dsak tura Order tihchhuah tawh chu sut leh a ni. Hnam damna turin Chief Minister ni lovin System thlak an zuar tih ZNP President in a sawi. Zoram Nationalist Party (ZNP) President Pu Lalduhoma chuan “Chief Minister \hutthlenga \hu thlak ringawt hian kan hnam damna a awm lova, keini chuan a system thlak hi kan zuar a ni,” a ti. Zirna In-a naupangte dikna leh chanvo humhim a nih theihna tura hma la turin Serchhip District-a zirna In ah Nodal Teacher for Protection of Child Rights chu ruat vek an ni tawh. 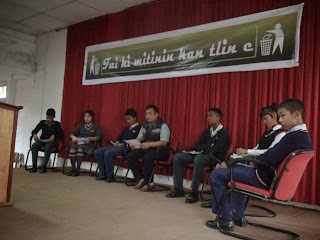 Bio-Medical Waste Management chungchang zirhona neih a ni. Damdawi In bawlhhlawh sangbawl dan leh thehthang dan bakah danin a phut thil chi hrang hrangte zirhona tur chu nimin khan Aizawl-a I&PR Conference Hall-ah neih a ni a, Vawiin ah chhunzawmin zawhfel a ni ang. Chiahpuam chungchanga hma la turin sorkar ngen nawn leh. Mizoram Women Workers Union Chairperson nia insawi Helena Lalsawmkimi chuan, Chiahpuam sum hi nuai 4000 vel chu bo tawh angin kan ngai a, he thil titute hi man chhuak turin sorkar kan ngen a ni' a ti. Hmunphiah a\anga royalty lak \hin Re.1 a tihhniam remti tlang. Mizoram sorkar chuan Hmunphiah a\anga chhiah/royalty a lak \hin chu Re.1 a tihhniam a remti. 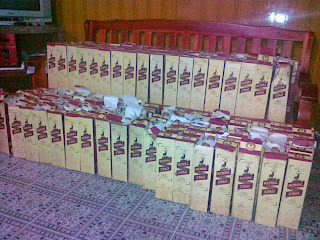 ZNP in Party dang thawhpui dawnlo tih chiang tawh niin sawi. ZNP President Pu Lalduhoma, MLA chuan “Political Party reng reng kan thawhpui dawn lo tih hi zaah-za (100%) in kan chiang tawh a. ZNP ni lo, pawn lam mi min puih tumtu ten keini aiin thawhpui neih an hlau zawk a ni” a ti. NLUP Third Phase leh Fourth Phase te kalpui zel tum a nih thu Chief Minister in a sawi. Chief Minister Pu Lal Thanhawla chuan miretheite khaichhuahna tura Mizoram sorkarin NLUP a kalpui mek ah sum hman tur a tam tawk tih sawiin, “NLUP Third leh Fourth Phase te pawh kan kalpui zel dawn,” a ti. RLUP for NLUP lehkhabu Chief Minister in tlangzarh. Chief Minister Pu Lal Thanhawla chuan nimin khan Rural Land Use Plan for New Land Use Project (RLUP for NLUP) (Mizoram ram \heh leh hman \angkai dan) tih lehkhabu chu a tlangzarh. Kum 14 chhungin Human Trafficking tuartu mi 21 chhanchuak. Kum 2000 - 2013 (kum 14 chhung) inkar chhungin Human Trafficking (Mihring hmanga sumdawnna) tuartu mi 21 Mizoram Police ten an chhanchhuak tawh a, heng chhanchhuah mi 21 te zinga mi 12 te chu Aizawl District chhunga khawsa an ni. Nimin Oct. 1, 2013 khan rampumah National Voluntary Blood Donation Day hman a ni a, Serchhip-ah pawh Serchhip Blood Bank leh Association for Voluntary Blood Donation (AVBD) Serchhip Branch huaihawtin he Ni pual hian hun hman a ni. Nimin chawhma dar 10:00 khan Horticulture Department hmalakna in Serchhip DHO Pu Lalhmangaiha chuan an office ah Serchhip Vegetable Growers’ Society te kovin thlasik thlai chi chi hrang hrang pasarih an hlan a, heng thlasik thlai chi an hlan zawng zawng hlut zawnng hi Rs. 12,29,320 a ni. 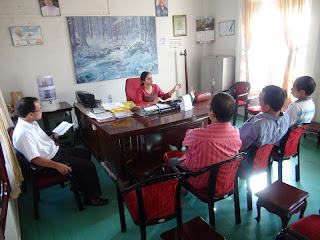 Mizoram State Disaster Management Authority in leimin/tawlh tuar te sawn dan tur sawiho. Mizoram State Disaster Management Authority (SDMA) chu nimin khan \hukhawmin Ramhlun Sports Complex-ah leh Ramhlun Vengthar huamchhunga tunhnaia leimin leh lei tawlh tuartute sawn dan tur an sawiho bawk. Sipai-a \ang turte Chief Minister in a vailiam. Kum 4 chhungin mi 4000 vel Sipai-ah an lut thar. Mizo \halai sipai \ang tura thlan mi 209 te chu nimin khan Chief Minister, Pu Lal Thanhawla chuan Aizawl a\angin a vailiam a, kum 4 chhung in \halai 4000 vel sipai-ah thun an nih thu Chief Minister chuan a sawi bawk. Bialtu MLA leh Chief Minister ni bawk, Pu Lal Than-hawla nu leh u, Lalsawmliani leh Lal Thanchunga hriatreng nan a Football Tournament buatsaih L&L Football Tournament chu nimin khan Serchhip Khawtetlang Field-ah khelh zawh a ni ta a, Final-ah hian champion lai FC Kulikawn chuan Serchhip Dinthar FC chu 5-1 a hnehin an champion a, champion Team hian Rs. 70,000/- leh Trophy dawngin pahnihna hian Rs. 30,000/- leh Trophy an dawng a, Goal 11 thuntu Lalrinzuala, IOC FC chu Top Scorer niin Lal-remruata, FC Kulikawn chu Best Player a ni a, Hmar Veng FC Serchhip ten Fair Play Award an dawng bawk a ni. Mizoram sorkar GAD chuan an thuchhuah hmasa tidanglamin Mizoram Sorkar hnuaia thlasik office kai hun zing dar 9:30 a\anga tlai dar 4:00 chu October ni 1, 2013 nilovin October ni 15, 2013 a\anga hman tan tur a nih thu a tarlang a. Mi-zoram House - New Delhi, Kolkatta, Mumbai leh Bangalore chu zing dar 10:00 a\anga tlai lam dar 5:00 thleng office kai hun a ni ang a. Mizoram House Guwahati, Shillong leh Sil-char chu zing dar 9:30 a\anga tlai-lam dar 4:00 thleng office kai hun a ni ang. He office kai hun hi nakum February 14 thleng a ni ang. CSS Hindi zirtirtu ten Edn. Minister hovin Special Assembly an nei. 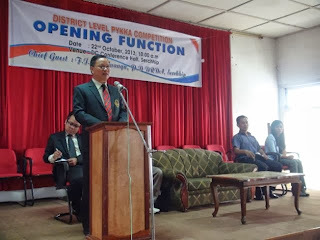 Mizoram CSS Hindi Teachers’ Association (MCHTA) chuan nimin khan Aizawl Chanmari YMA Hall-ah Special Conference an nei a, he hun hi Education Minister, Pu Lalsawta chuan a hmanpui a ni.